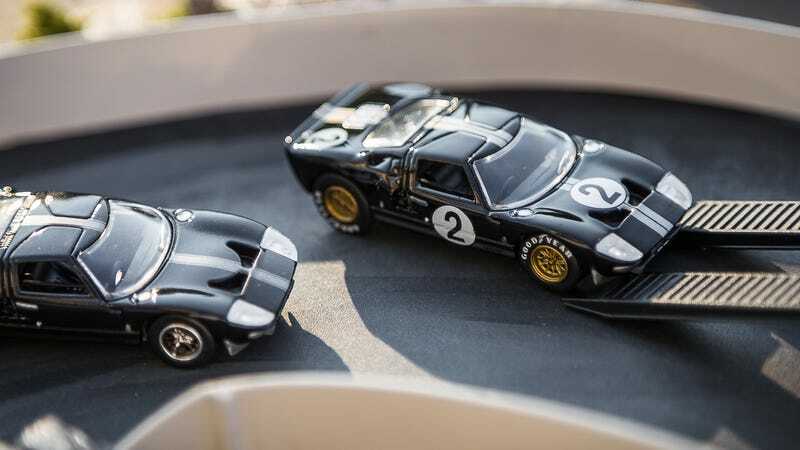 Here’s my first shoot of the new GT40's on my diorama. I mainly focused on the race winner this time. A new backdrop would be nice, so I’m toying with some ideas. Preferably something a little less labor-intensive and also easier to store than this 4' diorama! I found these with a google image search. Do you have a fix for scratched windows? I&apos;m alive, and still diecasting!